for $1,968,000 with 4 bedrooms and 3 full baths, 1 half bath. 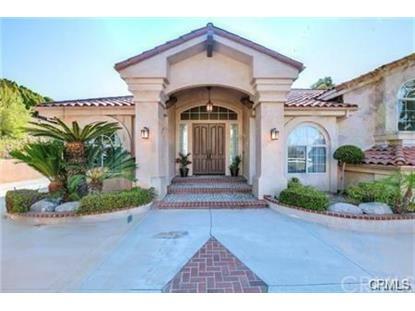 This 5,508 square foot home was built in 1987 on a lot size of 1.1702 Acre(s). 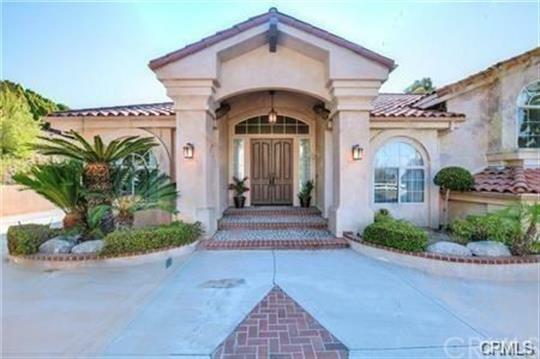 Beautiful custom home located in the exclusive 24-hour guard gated 'Country Estates'. This home has newer paint, plantation shutters, custom tile flooring, and dark oak laminated wood and hardwood flooring with baseboards found throughout the home. The double door entry and conveniently embedded ceiling lights provide additional lighting. The elegant living room has a fireplace, and a view of the backyard. Spacious formal dining room with a gorgeous chandelier is equipped with recessed lighting and mirror above the dinner table. The downstairs floor plan conveniently comes with an extra large master suite and a huge bonus room with a wet bar. The family room has another wet bar and connects to the kitchen, perfect for entertaining guests. The gourmet kitchen has custom granite countertops and backsplash, custom cabinets, stainless steel sink, dishwasher, built-in refrigerator, indoor BBQ, and a 2nd dining room with several windows overlooking the backyard. The individual master suite comes with a fireplace, walk-in closet, sink, personal vanity, soaking bathtub and walk-in shower room with custom tile. The home also is professionally landscaped and includes palm trees and several fruit trees and a beautifully curved circle driveway. Newer separately long and spacious RV parking area. Located near the well acclaimed Walnut School District with conveniently located school bus stops in the neighborhood. Back on market! Huge price reduction!! Don't miss this rare opportunity!! !